India – Greenfield Opportunity for Social Media in HealthCare and Pharma. The other day while looking at an RFP from a potential client, I was struck by this almost damning statement – “Currently there are no formal regulatory or legal obligations specific to social media and guidance from the FDA is not expected in the near future”. Everyone in the Healthcare/ Pharma world has been complaining about the lack of adequate regulatory guidelines – whether it is from the FDA or the NHS – for Digital/ Social Media participation, but also for listening/ research purposes for Pharma and Healthcare companies. 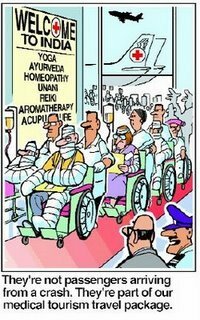 Its true, the regulatory bodies have been languishing – but whats happened is, that after a period of acting coy about it, most US based pharma companies have decided to be proactive (albeit in different degrees) about pharmacovigilance, and therefore have started self regulating. b) Focus of medicine/ the mindset is still very “reactive”/ treatment oriented – though that is changing a bit, with “wellness” coming into the picture. (I remember doing a country clustering exercise for a client some 4 years ago – based on scientific vs. alternate treatment types/ and “proactive”/ vs. “reactive” type of healthcare mindset. No surprises – India was at the peak of both axes). Given this, does Social media have a role to play? (despite the usual/ global fears of – confidentiality/ liability/ responsibility/ authenticity of content/ potential crisis that Social Media always raises when spoken about in conjunction with Healthcare) Yes ofcourse – specially in building communities/ advisory forums for therapy as well as proactive lifestyle management. Sure, it wont be the 100 bil people – but can we atleast reach a percentage of it incrementally? Are we doing that? Incidentally, where care is concerned – i saw a great example recently when I took my dad to get his eye treated. There was a youtube video playing of a (I assume) complicated eye surgery done in Bangalore – and this apparently had been streamed to a remote location when a less experienced doctor had been faced with it! I did my usual research. Ranbaxy has popular OTCs like Volini, Revital, Chericof, Pepfiz. Revital has a facebook page, with some 27K odd likes. Fairly active – contests running, tips etc on bones/ diet, frequent updates. Also a mobile app. Looks like some of the other brands are beginning their Social media journey too. Cipla has a dedicated portal for HCPs (Ciplamed) but no facebook page. 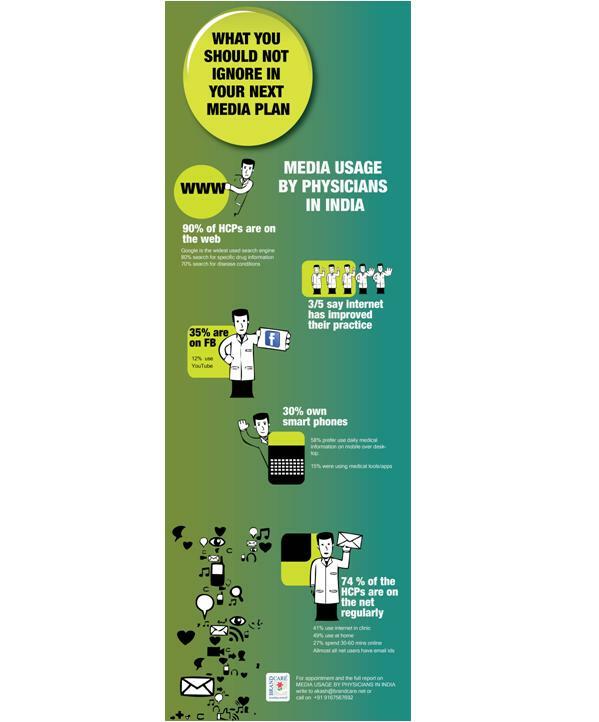 The doctor resource seems fairly unidirectional in terms of messaging. It does have carebeyondcure.org, a palliative care and training center. Dr. Reddy’s has a facebook page – some 60K likes. Talks about Cancer/ world cancer day. 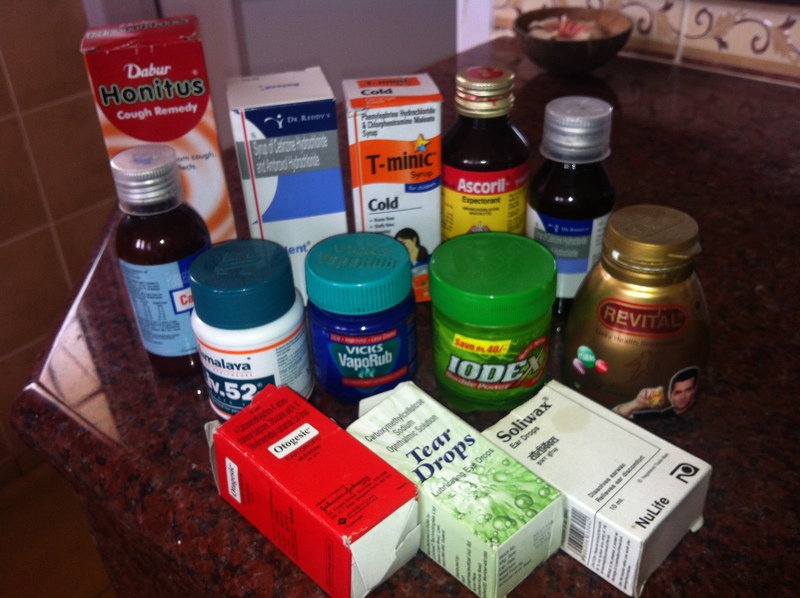 Vitamins/ diet/ symptoms of dyslexia/ airborne diseases/ tips etc – also fairly active. Has also many microsites – friends forever for alumni, for the legacy of Dr. Reddy’s (drreddysjourney) – (that even has a twitter handle), an ebusiness portal Vikreta2DRL, one for its R&D organization. 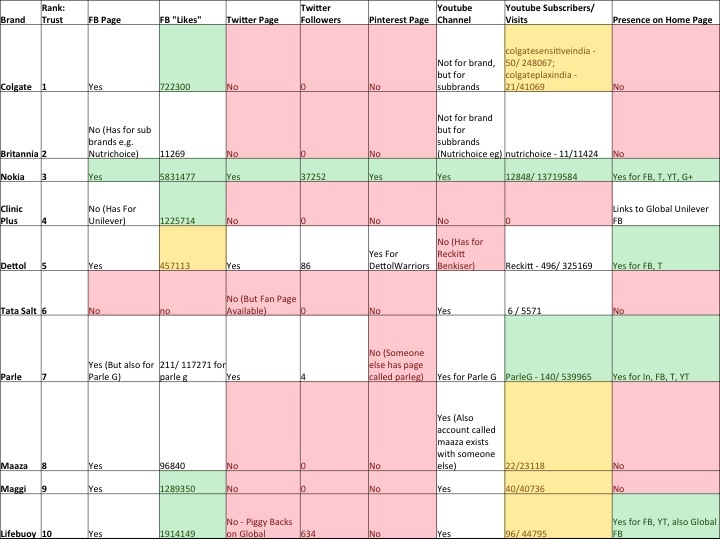 But, I couldn’t find any evidence of communities which these brands were sponsoring/ active on – so looked like they are just using facebook as a “connection” medium, more unidirectional tips etc – good for first steps, but leaves a lot to be desired. I thought I would take a look at global pharma’s presence in India. In order of revenues, the top 3 big pharma in India are: GSK, Abbott, Sanofi. GSK doesn’t have any India specific sites, (they do have US and other countries for their brands – Calpol/ Alli being the main ones). Neither does Abbott or Sanofi. I did see a facebook campaign called Bluediwali for Sanofi – on diabetes, but all their other properties were global/ other countries. Thinking maybe this is part of their strategy (keep unified global properties) I ran a check – it’s not true, they do have lots of country specific sites – mainly Mexico and Turkey specially! 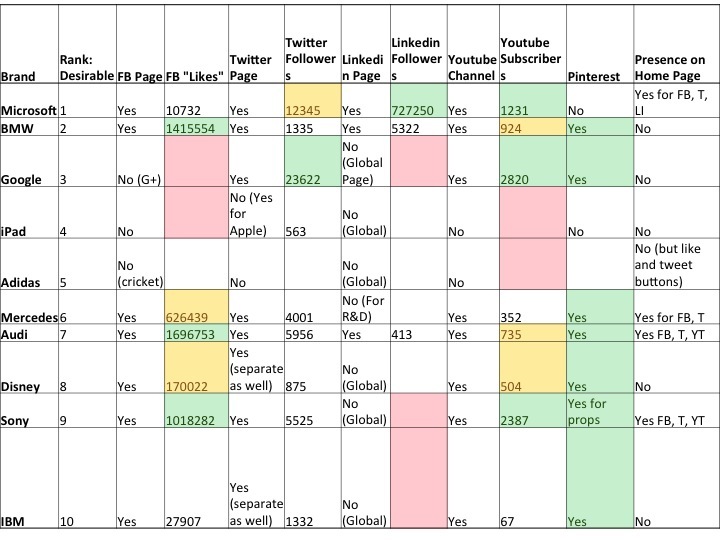 For a decent look at Social Media properties, check out this wiki.Note how many country specific sites/ communities exist that are being sponsored by the global pharma? So this I don’t understand – large untreated patient population. Sure, low internet penetration. Also trend shifting to chronic treatment. Also, everyone says medicine is a very “local” issue – then why aren’t the global majors more active here?. Regulation on this practically doesn’t exist (even otherwise Indian regulation scenario is complex – its split between the Center and the State for one) but given largely self regulation in the U.S., certainly the pharma companies can extend that here. 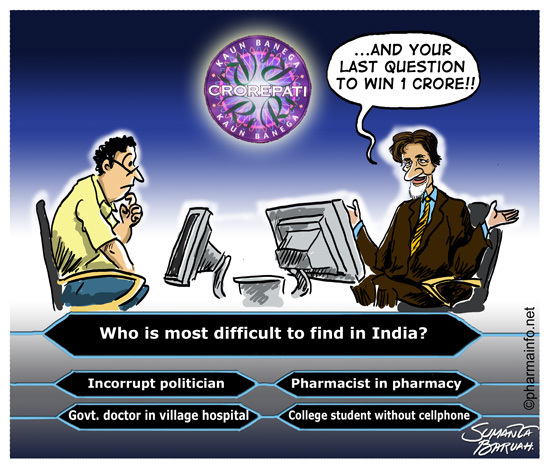 Net net, reservations and all, there is immense scope for Social media in the Healthcare and Pharma sector – from Govt. bodies using it, to Practice Management committees, to Pharma companies and finally Patient Advocacy groups. Wonder who will be the first to step up and become “early entrants” in this 13 billionish market! Today’s is a lazy blog. a) It’s a follow up to another that I’d posted a few days ago – where I’d said I’d run some analysis on this subject. Lazy therefore because I didn’t have to think of a new topic. b) Its lazy because it’s more information – that I just needed to collate from various sites – and not so much opinions – for which I have to think a bit, organise my thoughts, maybe run some parallel research, and then write. Interesting paradox – in sheer physical effort of the research, these kinds of blogs actually require more hard labour – so, let me say this is a mentally lazy blog – though its a physically active one. The above also upfronts a rather interesting debate (actually nowadays not so much debate as positioning/ messaging) on “data” vs. “information”..”knowledge” vs. “intelligence”. At one time, we contemplated using a tagline for our company that said – “data tells a story” (then junked it on grounds that it was too commonplace). So, in this post, I’ve collated some figures and will comment on it – rather than the other way around – have an opinion and then build a story around it. a) Both Desirable and Trusted Brands don’t really care about Social Media presence – obviously, their status on trust and desirability has far preceded the social media phenomenon – so, yes maybe it’s arrogance. c) The car brands, being in the consumer space, are obviously the most active – with adoption of even Pinterest – the most visual/ sensory channel – this is logic, and contrary to my findings in the Trusted list – where even the food brands didn’t have a Pinterest presence (maybe this underlines the difference between Trust (read higher arrogance) and Desire – far more sensory, and therefore also maybe ephemeral. e) At first I was surprised when I didn’t see facebook page for Google – realised later they wouldn’t promote competition 🙂 – they do have G+ account linked from their page. The same is kind of true for Apple/ iPad. c) Trust and Desire are probably opposite ends of the spectrum. In my inbox this morning was a nice infograph of Top U.S. Retail Brands‘ presence on Social Media (Wal-Mart topped the fb list with some 26 mil odd Facebook Likes). I thought i’d checked what this looked like for top Indian brands. 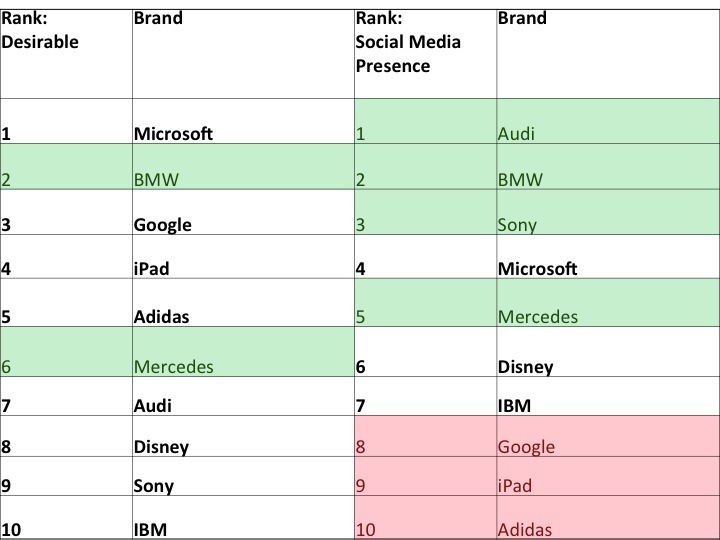 There were a few lists (with , surprisingly, Blackberry having 23 mil odd likes on Facebook), but I thought I’d flip the screen, and see how salient the top Indian brands were on Social Media. The Brand Equity Top Trusted Brands List struck me as an interesting one to check for — we keep reading about the Trust Barometer, and how it correlates (well actually mostly doesn’t) with what brands have to say for themselves. Looks like Indian brands agree wholeheartedly! It’s a surprise, because many of them are food brands, and i would have thought that atleast food would use Pinterest (they do have recipes on their home pages). What do you think this is – arrogance? Or just legacy (which is one reason why these brands are “trusted”).